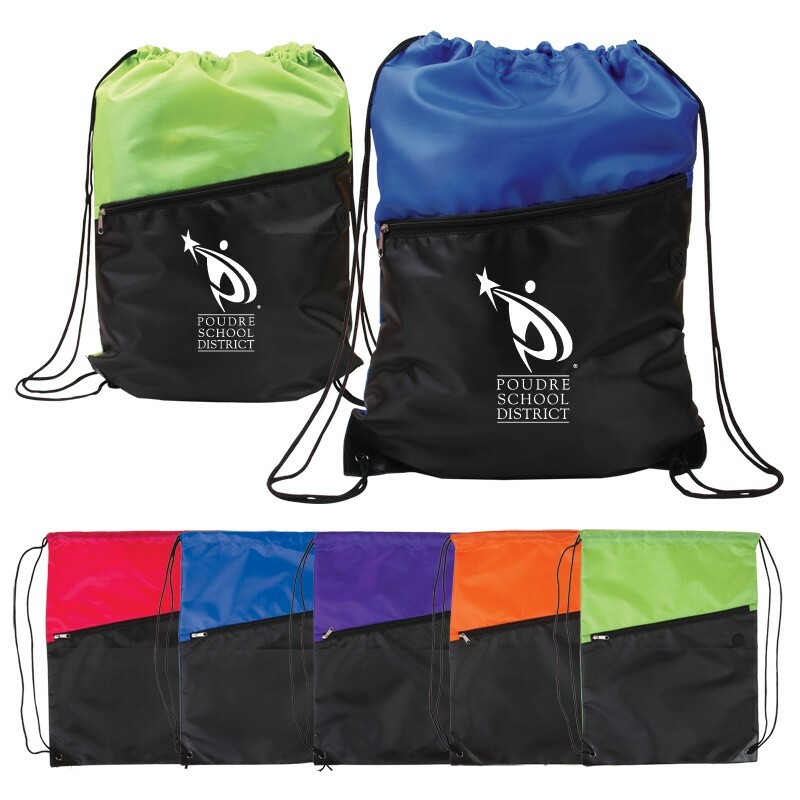 New for 2013, these custom printed drawstring backpack bags stand apart from the crowd with their stylish 2-color design and zippered compartment. Did we mention that there's also a headphone slot? Well there is! This is a great value and is sure to be a big hit with the school fundraising crowd because of its high perceived value. Order some with your school mascot printed on the front pocket!